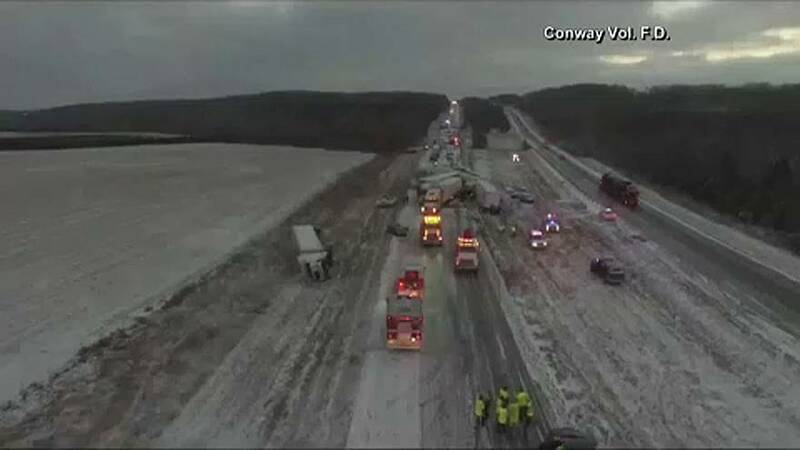 Icy roads in the US state of Missouri caused a mulitple vehicle pile up and shut down the highway. The chain reaction crash took place in the east bound lanes of Interstate 44 in Conway. Snow fell earlier in the day and quickly froze over. Police and fire officials warned drivers that roads are slick and extremely hazardous.